Former President Jimmy Carter became America's longest-living president ever on Thursday, surpassing only George H.W. Bush. 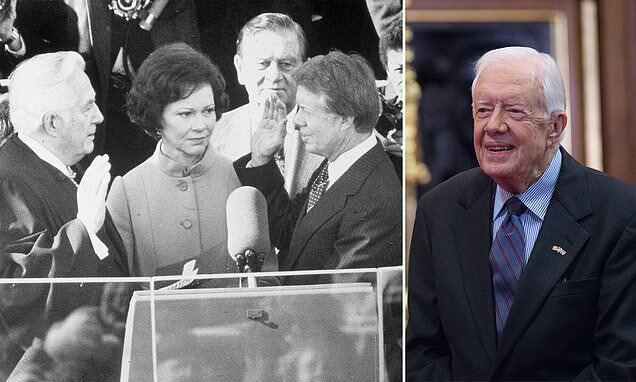 Carter was 94 years and 172 days old on March 21, which is a day older than Bush was when he died last November. Bush himself became the longest-living president in U.S. history in 2017. Only a handful of former presidents have lived past 90 years, including former President Ronald Reagan, Carter's successor, who lived to be 93. 'He and Mrs. Carter take walks, and they have followed a healthy diet for a lifetime,' Deanna Congileo, a spokeswoman for the Carter Center, told CNN. 'Both President and Mrs. Carter are both determined to use their influence for as long as they can to make the world a better place, and millions of the world’s poorest people are grateful for their resolve and heart,' she added. After his presidency, Carter established the Carter Center and was awarded the Nobel Prize. He also built Habitat for Humanity homes and writing more than two dozen books. Carter and his wife Rosalynn have remained active supporters of Habitat for Humanity, the nation's most prominent housing charity, since leaving the White House.